One of the most exciting parts of what I do is being able to offer my clients unique one of a kind high quality art products. I have used my design and photography expertise to research and test a wide array of products only offered to professional photographers. During my research, I was able to narrow down the products I offer to the best, most unique, and most durable products I can get my hands on. Anyone can get a disc or thumb drive of digital images. Not everyone has access to timeless, classic, and cutting edge products. Plus, think about sessions you may have had in the past. How many times has a friend or family member told you, "Wow, that disc looks amazing hanging on your wall?" I am guessing the answer is never because if you did hang it on your wall, it would look ridiculous, but more then likely, it is in a drawer collecting dust. I want to make sure your families memories are not on a disc somewhere in a dark drawer. My goal is for all of my clients to have their walls adorned with their most cherished memories, printed on one of a kind beautiful art products, and captured by me! I believe your memories deserve to be displayed in your home as the beautiful pieces of art that they are and I hope you do too! I will take your gorgeous images and create fine art boutique prints that are beautiful, striking, and ready to be displayed in your home! This product is an archival product and is made to stand the test of time. Display in in a frame with or without glass, on an easel, or store them away in a memory box. Let me create the feel of a fine art painting by printing your favorite image or images onto a gorgeous gallery wrapped canvas. When you chose one of my boutique albums, we will create a breathtaking heirloom that you will have many years to come. Albums come with every picture from your session and are one of my most purchased products. Besides digital files and boutique albums, these are hands down my most purchased product. Almost every session purchases a set of these unique books. Nicknamed "the grandparents gift", you will receive a set of 3 identical books that include 10 images from your session. Keep one for yourself and gift the other two. Measuring 3 inches by 3 inches, they are great to keep in your purse, sit on an end table, or even hang on your refrigerator; they're magnetic! 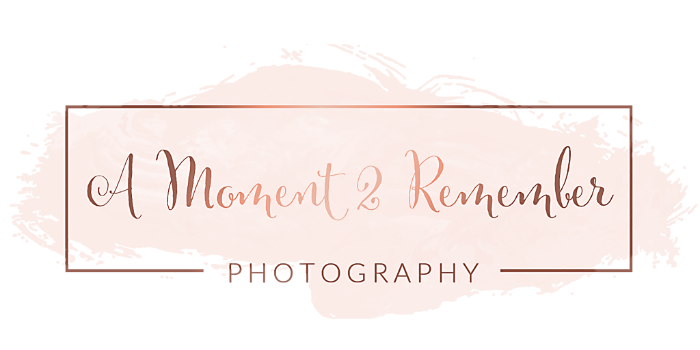 At A Moment 2 Remember, I pride myself on offering my clients one-of-a-kind unique products that you can only get from a professional photographer. I also work very hard to make sure I offer products that no other photographer offers in my area. One of these options are my matted prints and memory boxes. Whether you chose to purchase only the prints, the prints and a photo cover memory box, the matted prints and a wood memory box, or even swap the matted prints for my archival prints, I love being able to customize orders to each clients individual wants and needs. Love the idea of purchasing a set of canvases, but not sure how to hang them? Let me do the work for you. We can use my software to completely customize a gallery wall for your home or you can chose from one of my pre-designed sets. Thinking a single large canvas would be best for you, but not sure how to decide on size? Simply email or text me an image of the wall you plan to display your portraits along with a measurement on that particular wall, and I will plug that info into my software to show you what size will be best in that particular space. We can even make tweaks and changes and work together to create the best design for your home. More Product Images Coming Soon! Want to learn more about my amazing art prodcuts? Contact me today!